Francois Visser has just published his first photo book, Interlude. 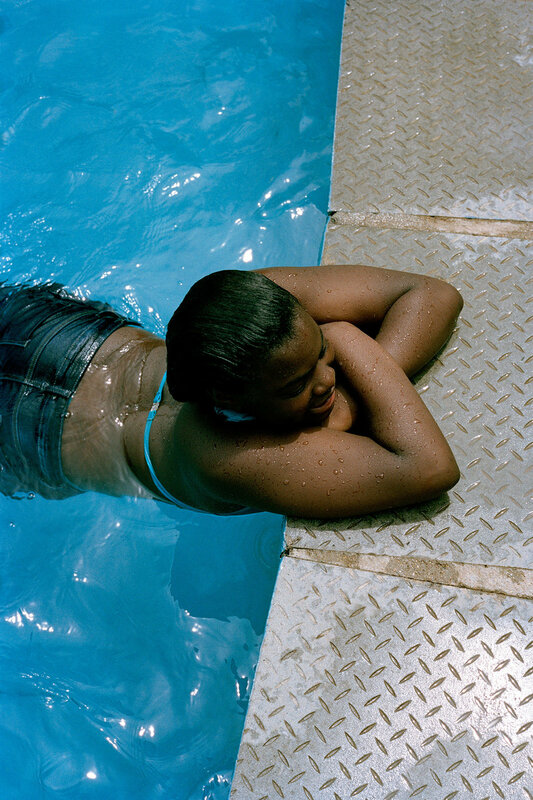 The publication brings some of the South African artist’s most recent, personal bodies of work together. His Interlude exhibition is also currently on view at THK Gallery in Cape Town. Here, read the book’s foreword by Nataal’s editorial director, Helen Jennings. Four strong, smiling acrobats spin, bend and fly through the air in matching outfits, their impressive display of balance and coordination creating a joyous feast for the eye. A motorcyclist sits astride his pimped out Star cruiser, the trusty ride that takes him over the rugged, agricultural highlands he calls home. Staring confidently into the camera’s lens, his demeanour is at ease and assured as he prepares to rev up his engine and carry on his way. A group of teenage girls hang out together during a school excursion to a public swimming pool. They’re best friends and it’s the weekend and the sun is shining and life is as sweet as the fizzy pop they’ve just bought from the tuck shop. A seemingly endless desert landscape fills the near and the far. The reddest, virgin earth meets the bluest, brightest sky, an inviting mountain disrupting the vast horizon with its soft, windswept peaks. These special, crystallised moments join many more like them in this photography book by Francois Visser. Interlude is a pictorial chronicle of his thoughtful, solo travels throughout eastern and southern Africa. 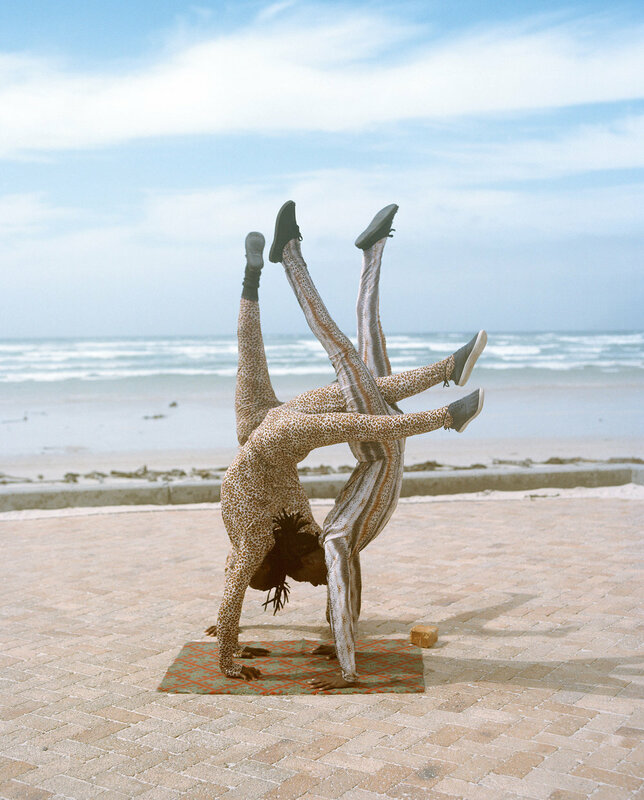 The artist has been drawn as much to the beauty of the region’s nature as to its people while documenting a tapestry of subjects across South Africa, Namibia, Zimbabwe and Tanzania. Some of the pictures are due to happenstance encounters, the precious fruits of travelling to new places and greeting new people, while others are a result of long-nurtured, discrete collaborations. Whether taking portraits of hard working alluvial miners and happy-go-lucky performers, or capturing dusty roads and flower-strewn fields, each series presented within these pages shares a sense of sublime dignity that transform the every day into the extraordinary. Born in Cape Town, Visser studied psychology at home before working in advertising in London and then moving into photography. His images are nuanced with a minimalist undercurrent that traverses the complex space between observer and subject. His personal sense of craft and structure is driven by an experimentation that possesses a considered sensitivity to his environment and urges him on to his next troubadour adventure.